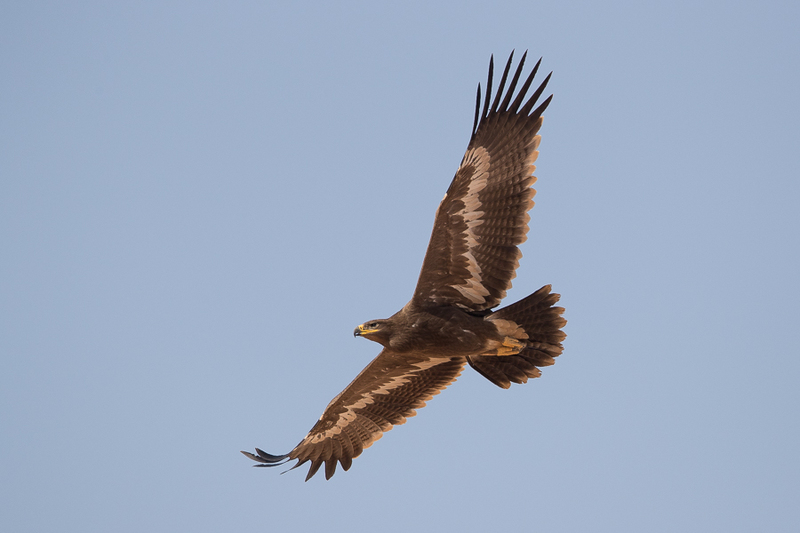 Whilst in Tabuk in early October, Phil Roberts and I came across a number of Steppe Eagles of various ages. We saw at least five different birds and managed to get good flight views of at least three birds shown below. 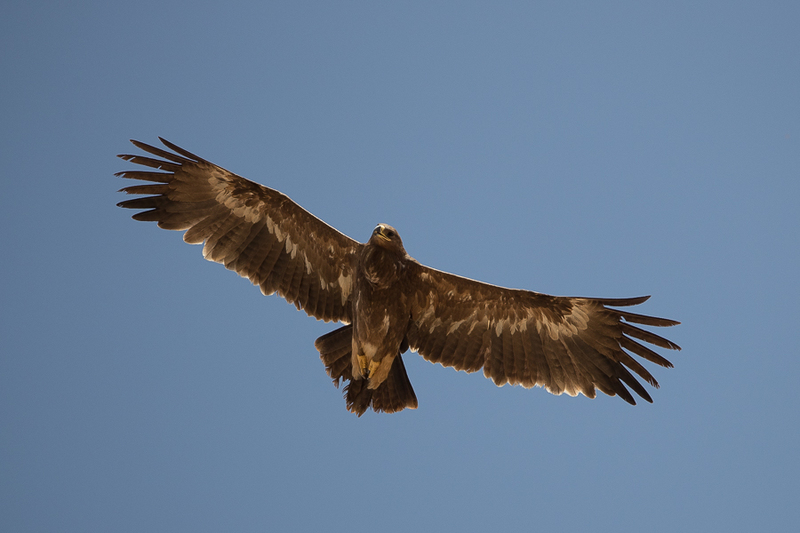 It is difficult to know if these birds will winter in the area or move south to cross into Africa via the Bab El Mandib straights in Yemen. 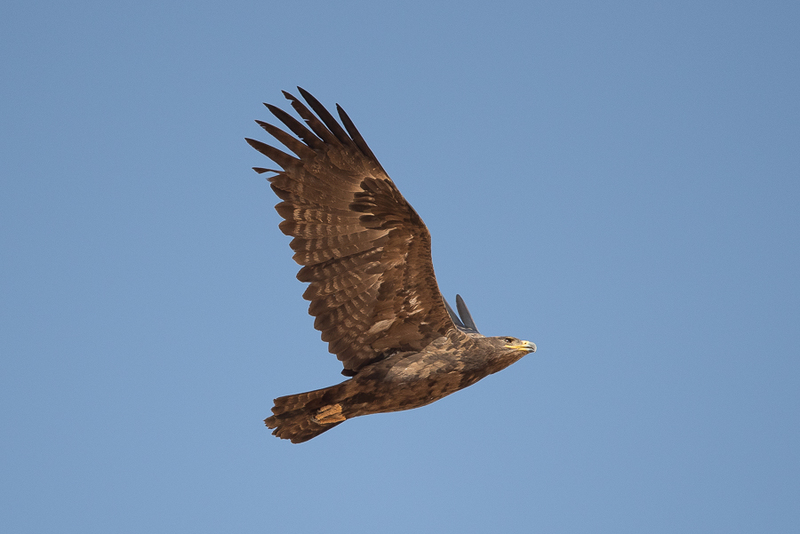 Steppe Eagle is a common migrant and winter visitor to the south-west, northern Hejaz and Central Arabia where up to 1000 birds have been recorded in a small area. They breed from the Black Sea eastwards across central Asia to Mongolia and migrate to winter south to southern Africa and southern Asia. They pass through the Middle East in large numbers on migration. 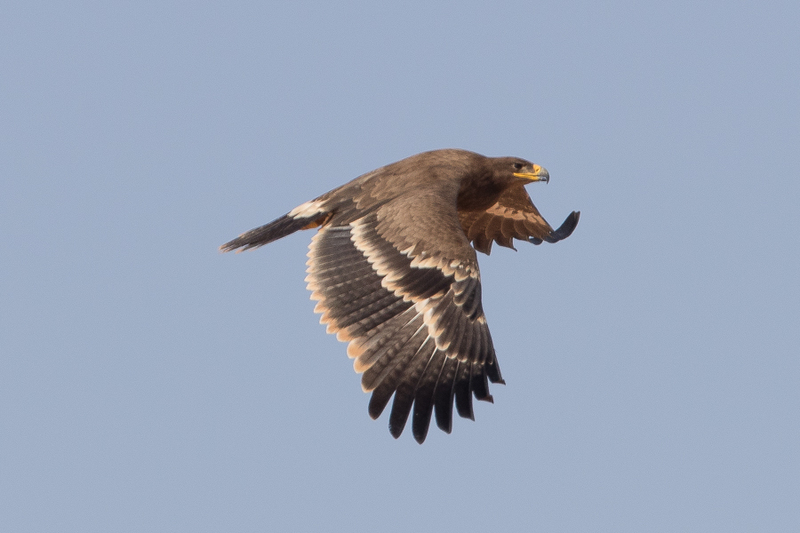 The juvenile birds shown below have wide even width whitish bands on the trailing edges and centre of the underwings and on the tail tip. 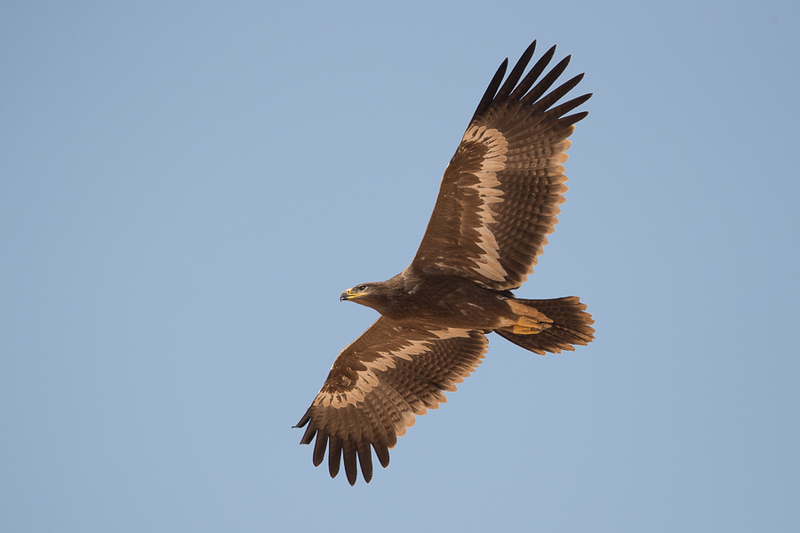 They also have a uniformly coloured body and wing-coverts and whitish under-tail coverts. Whitish tips to the greater upperwing coverts and secondaries form bands across, and trailing edges to, the upperwings. 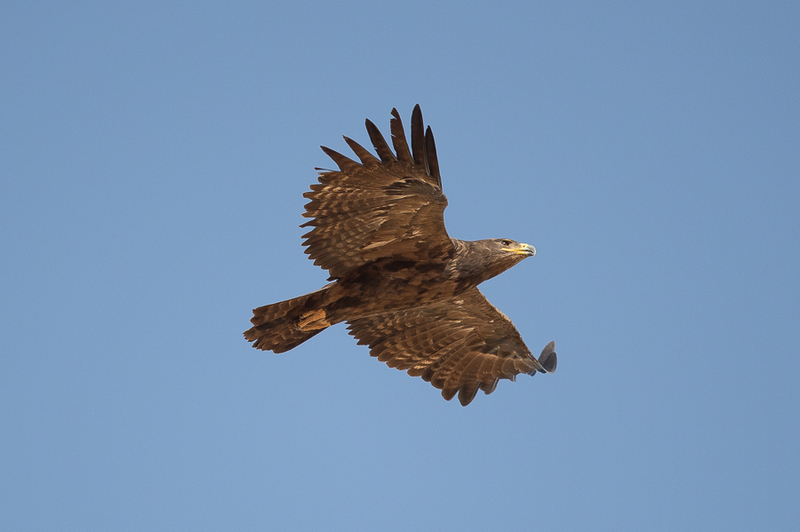 They also have whitish uppertail coverts. 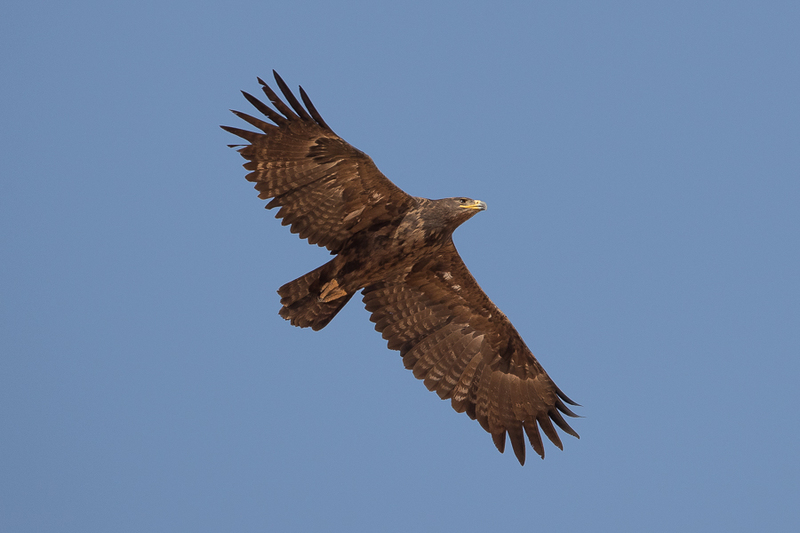 The adult seen had dark brown underwings with blackish carpal patches with wide dark terminal bands on the flight feathers. 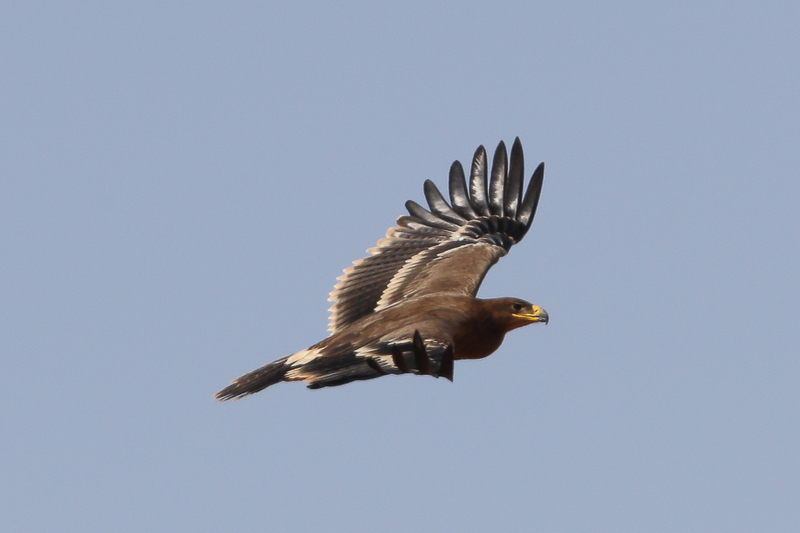 They do not have the whitish underwing bands of younger birds. 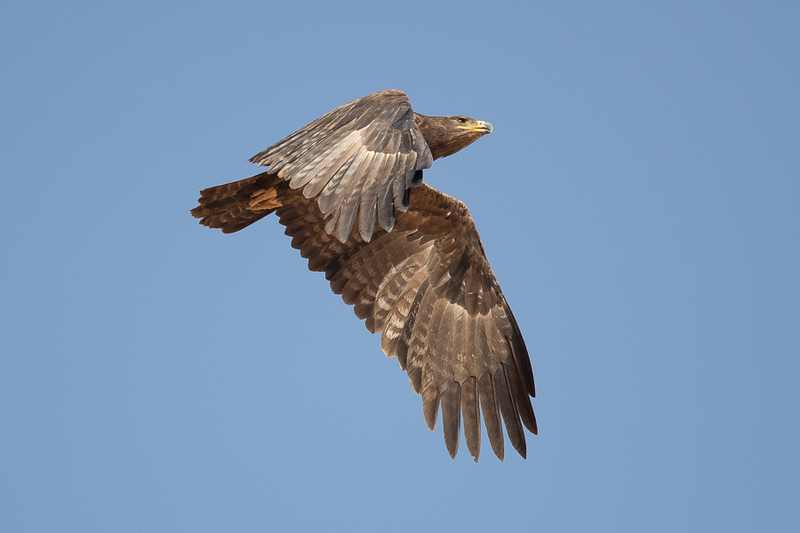 Head, body and under-tail coverts are uniform dark brown.